1. Federal Judge Reinstates Rule Requiring Greater Disclosure of Private Workforce Pay. In the latest plot twist, U.S. District Judge Tanya Chutkan of the District of Columbia ruled that the Trump Administration must comply with an EEOC rule requiring disclosure of pay information based on gender, race, and ethnicity. Large employers, who must comply with the new reporting requirement by May 31st, argue that the new regulation is onerous and will not explain differences in pay gaps. Advocates of the rule argue that increased transparency is necessary to address pay inequity in the workplace. The Administration has not yet announced whether it will appeal the ruling. 2. Workers File Pay Discrimination Suits Against High-Profile Companies. In 2018, female workers filed pay discrimination suits against many of the largest corporate players in the country. Nike, U.S. Soccer, Hewlett Packard, and the Boston Symphony Orchestra are just a few of the organizations embroiled in recent litigation. Biglaw isn’t immune either. Firms such as Jones Day, Chadbourne & Parke, Morrison & Foerster, Proskauer Rose, and more have been hit with high-profile recent lawsuits. Of course, the problem isn’t unique to large corporations. Employers of all sizes and industries must take care to ensure compliance with pay equity legislation. 3. Several States Are Considering New Pay Equity Legislation. In the last year, several state legislatures have proposed legislation banning questions about salary history or prohibiting disparate pay on the basis of gender or race (and other protected categories). Rhode Island, South Carolina, and Texas are just a few of the states that have bills on the table. Other states have already seen major results from recently enacted pay equity laws (check out this recent news out of New Jersey). You can read about pending legislation here and here. Thinking even bigger, Canada and the UK are considering national pay equity legislation. 4. The Supreme Court Weighs In (except not really…). 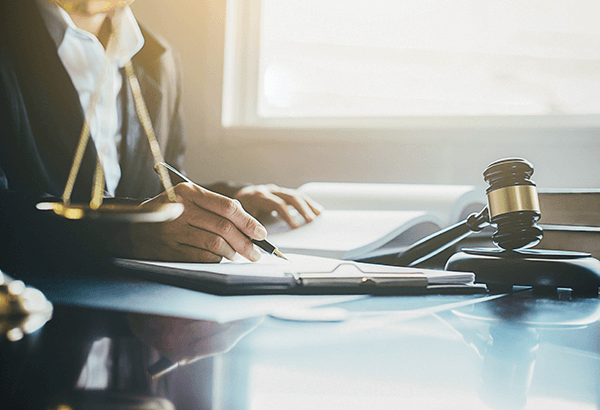 In February 2019, the Supreme Court declined to take up the question of whether employers can use salary history to justify unequal pay. The case, Yovino v. Rizo, challenges the scope of the Equal Pay Act and could have a major impact on employers nationwide. As of right now, this case has been sent back to the Ninth Circuit Court of Appeals on a procedural issue - however, regardless of how the Ninth Circuit ultimately rules, there is already a circuit split on the permissibility of salary history questions, which means it is ripe for review. Thirteen states and eleven localities currently ban employers from asking about salary history. So what’s next for pay equity? Stay tuned for further updates. For a peek into the latest legal developments in this evolving area of law, be sure to check out Pay Equity Laws in the Northeast: New York, New Jersey, and Massachusetts. Not from the northeast? The program will benefit attorneys nationwide whether they’re looking to become familiar with this national trend, are referring to these laws as a model for their own states, or have employees and/or clients in New York, New Jersey, or Massachusetts.